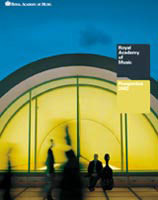 Intro has designed the 2003 prospectus for the Royal Academy of Music, which will be distributed from next week. The prospectus is the Academy’s primary line of communication and plays a major role in attracting overseas students, who make up 50 per cent of the intake, says Intro creative director Adrian Shaughnessy. The aim of the revamp was to express the Academy’s progressive attributes, as well as its musical heritage, says Shaughnessy. ‘Previous [communication] has portrayed the Academy as very traditional, but it’s really like any other campus,’ he says. The consultancy’s research with current students showed the reputation of prospective tutors was a key factor in their decision-making. The consultancy commissioned photographer Joe Dilworth to take portraits of the Academy’s heads of department. 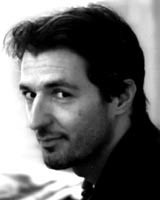 Intro designer Adrian Talbot and Shaughnessy are creative leads on the project. The consultancy was appointed in November 2001.